Pandas and cup-cakes; having trouble making the connection. Guess that's why I was never in marketing. About your question: I was on the shore when I took the picture. The bay of Nice is like a half of a circle, and the fisherman was in the middle. When the cupcake phenomenon began I didn't give it 6 months. 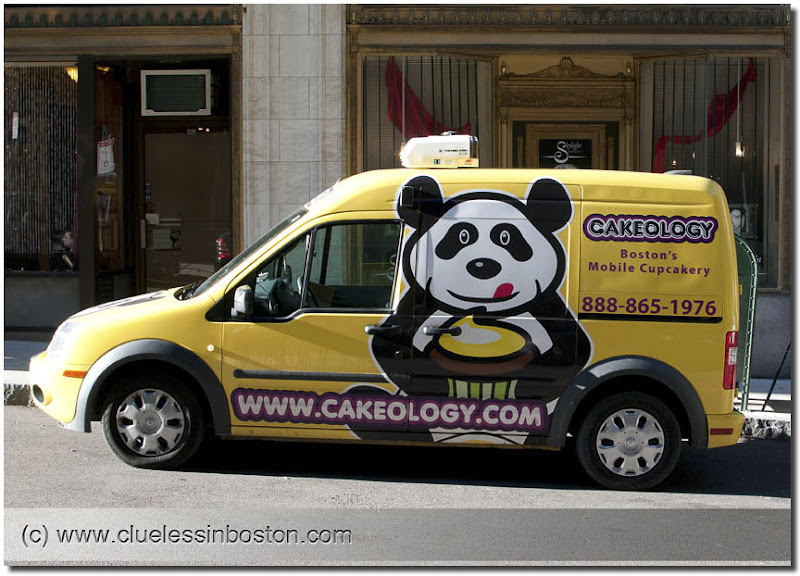 A mobile cupcakery? Who orders them? An earlier commenter says he didn't give the cupcake craze six months but was wrong. Maybe he should reset his clock and give it another six months. This panda has enough pancakes, his eyes are already nervous.